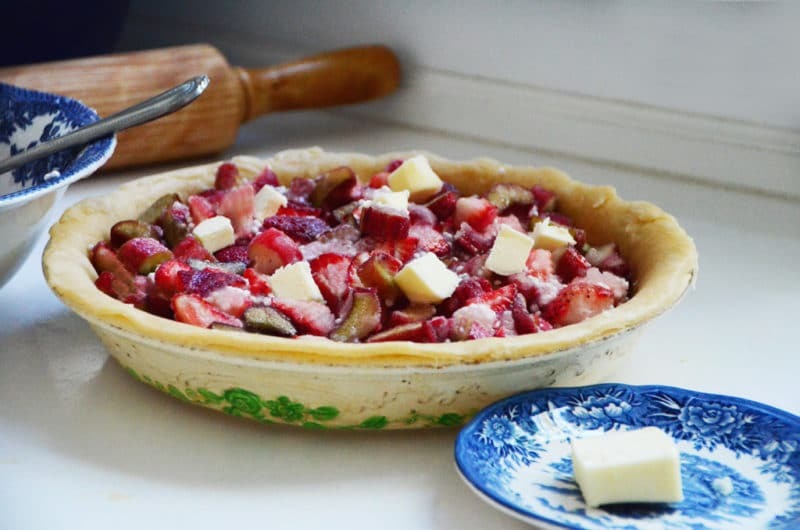 Strawberry rhubarb pie with rose water is a match made in pie heaven! My mom’s crust is also a dream, made with oil rather than butter, so it’s vegan! Photos. Recipe. Perfect Pie, with a shorthand summary of my Mom’s Best Crust that makes it all so simple. Need I say more? Yes, just this: Bake one, and enjoy. The amount of fruit for the filling need not be exact. But it’s always better, I find, to err on the side of a bit more fruit than a bit less, for a full pie plate. The tapioca is an ideal filling thickener, but be sure to use the “quick cooking” variety rather than “small pearl” which won’t cook as readily. Use a rimmed pie plate for ease of sealing and crimping. This pie is easily made vegan by leaving out the dotted butter and the milk glaze. Place the rack in the middle of the oven with another rack below. Place a large sheet of foil on the lower rack to catch drips. Preheat the oven to 425 degrees. 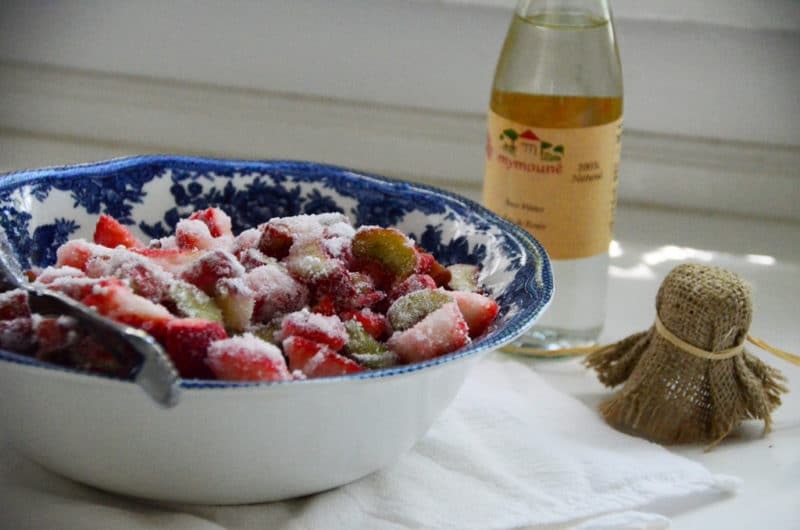 In a large bowl, combine the strawberries, rhubarb, sugar, tapioca, and rose water if using. The amount of rose water you add here depends on how strong yours is in flavor; a light touch is best, so start with 1/2 teaspoon and if a light fragrance of rose is present with the fruit, that’s enough. 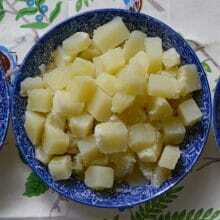 In a medium bowl, whisk the flour and salt, stir in the oil, then stir in the water. Add an additional teaspoon of oil if the dough seems at all dry. 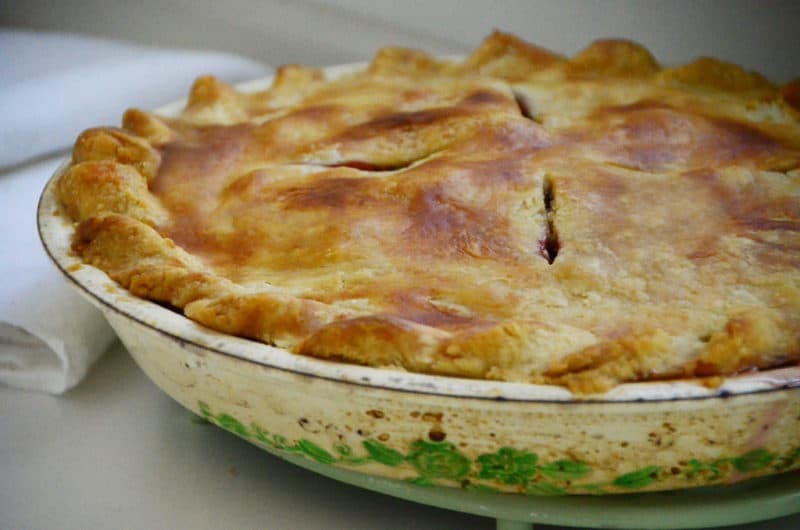 On a damp work surface, roll out half of the dough between two sheets of wax paper to a circle 2 inches larger than the pie plate, remove top sheet of paper and invert over the pie plate. Ease the dough down into the plate. After trimming the bottom layer and before rolling out the top layer, pour the sugared fruit into the bottom crust in the plate. Dot the top of the fruit with butter. Roll out the top layer between two fresh sheets of wax paper on a damp work surface, to a circle 1 inch larger than the pie plate. Remove the top sheet of paper and invert the crust over the pie, using the sheet of wax paper it's on to move it into place. Leaving a 1/2-1 inch overhang, trim, tuck the overhang under the bottom layer, and crimp. Cut vents decoratively in the top. Rub or brush the entire top of the pie with milk. Cover the edges of the pie with a pie guard or pieces of foil, crunching it well so it stays in place. The foil is not a perfect science; just get it to cover as much of the edge as possible. Bake for 40-50 minutes, removing the foil for the last 15 minutes of baking so the edges brown up. When the fruit can be seen bubbling up vigorously in the vents and the crust is golden brown, the pie is ready. Remove from the oven and cool; the filling will firm up some as the pie cools. Serve lukewarm or at room temperature. The pie will keep on the kitchen counter for a couple of days, loosely covered with waxed paper or foil. 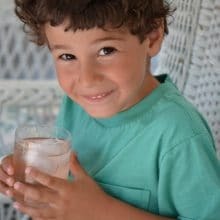 19 Responses to "Strawberry Rhubarb Pie, a hint of Rose Water, & Mom’s Best Crust"
AMAZING RECIPE! and you have such beautiful plates deserving of the pie. Thanks for sharing this with us, Maureen. 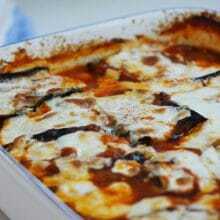 I will be making it soon. I found the crust recipe interesting and looking delish. A very Happy Mother’s Day to you and YOUR beautiful mother. You are lucky to have her. I miss mine alot. Thank you, Maureen for sharing your Mom’s precious pie recipe. It’s always great to see another way of making a good crust. It’s always about the crust! My mother was an excellent cook AND pie-maker and she used Crisco. I like half butter and half lard and my crust is very light and flaky. I am very interested in trying your mother’s recipe. Please wish her a very Happy Mother’s Day for me. I’m so glad the rose water caught your attention–it always catches mine too, and it’s so delicious in this pie! Ooh la la! Love the idea of the rose water in this. I’ve made four rhubarb-strawberry pies this month already (four!) and have grown quite partial to candied orange peel in them, but rose water would be a very nice alternative, I do believe. It’ll have to be five pies soon, because I’ve got to test out that crust, and this rose water idea. Thanks, excited! I wish rhubarb would be more available. Tried growing it here in MO and it never seems to make it. Maybe too wet. My mother had dozens of rhubarb recipes and it was a standard dessert in the spring. From just a basic fruit sauce to upside down cake. Just about anything that any other fruit would go into. 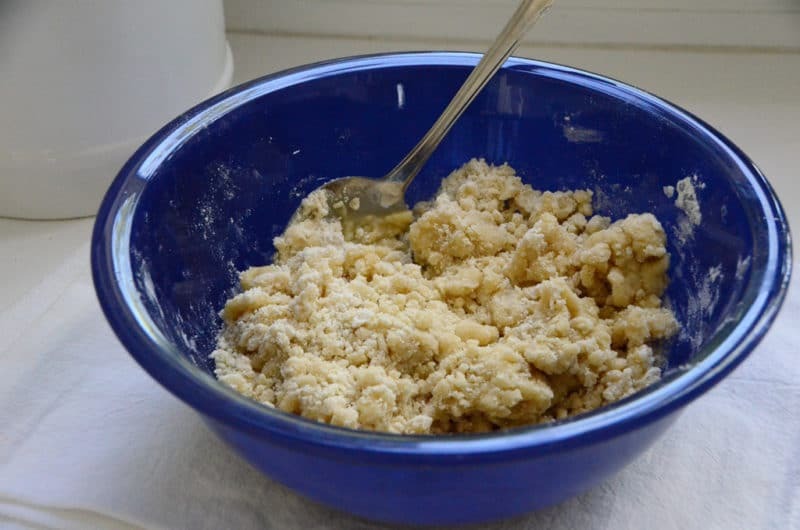 I had never heard of pie crust without butter or lard. That’s the ingredients that the traditional farm wives would have insisted on. Of course they always insisted that all cooking was better with butter and lard. Been meaning to write and ask if you’ve ever tried dandelions as a spring dish? Almost too late here but maybe not up north. I don’t know if they were Lebanese or not but our family seemed to be the only ones that ate them. We ate dandelions both cooked and raw. One needs to cut them before they bloom as they become bitter. Cut them at ground level and remove any flower buds. Raw we just washed them and put them in flat bread with a little salt and rolled it up and ate it. Cooked it was much like spinach with onion and some lemon or vinegar. The Latin name translates as “the official cure for disorders”. They are supposed to be high in nutrition and before a good supply of food in winter they helped people recover from a lack of vitamins in winter. Maureen, Looking forward to trying your Mom’s pie recipe it sounds delicious. I think I remember having some as a child. Also roger’s comment @ dandelion greens in spring, My mom used to love those. Happy Mother’s Day to your Mom. I sure do miss my Mom. Let me know how you like the pie. And no doubt your mama misses you too. 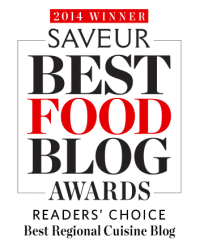 I wanted to thank you for posting this recipe and I’m so glad I came across your blog. I have made pies forever using shortening or shortening/butter combinations. (my mom used lard). I had to give those up when a family member was diagnosed with high cholesterol. I had tried oil pastries before but they were lacking. 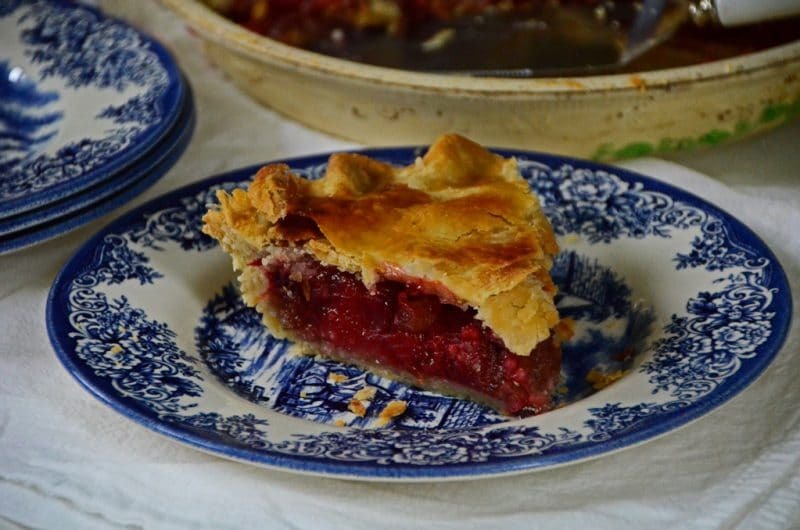 I tried a berry pie with one of them and it sort of melted into the filling, so when I saw this recipe with strawberry rhubarb looking so good, I had to try it. I made a lemon meringue pie with it. Outstanding. I currently have an apple pie in the oven using this crust, and it looks just as great. I think it works because you mix the oil into the flour first, then add the ice water. I was amazed that one could achieve a flaky crust without cutting solid fat into flour. A couple of things. I found it a little salty for my taste, so I used a bit less salt. I used King Arthur flour and canola oil, as you suggested. Today, I went to roll it out, and forgot that you use waxed paper, so I started to roll it out on a floured board, like a typical crust. Then I remembered, but grabbed plastic wrap instead of waxed paper. Anyway, I eventually ended up with plastic wrap on one side and waxed paper on the other. It turned out that the plastic wrap was MUCH easier to work with. None of the dough stuck, as sometimes happens with waxed paper. Just a tip you might like to try. Thanks again so much for this. Now my family member can have as much pie as she wants, and I can enjoy making pies again. I was getting depressed about it. Just FANTASTIC Jen, thank you! I look forward to trying the plastic wrap approach! Just an update. The apple pie was excellent. Pastry was great. Also, I do not typically use a milk glaze (though it looks great). Before baking, I pat the top crust all over with water then sprinkle with sugar. Thanks again. Baking pie is something of a lost art. I’m so happy your mom passed this skill to you, as mine did to me. Wonderful Jen, so glad to hear this! Blackberry Raspberry Pie with your mom’s crust. Again, excellent. That sounds so delicious Jen! Thank you! Looks awesome, found some great suff on your site. one question though, where can I get dishes like yours? Thank you Donna! Those are vintage dishes of my grandmother’s and that my mom has collected over the years. Look for anything in the style of blue English Chippendale and those will be in the same family (check out replacements.com).